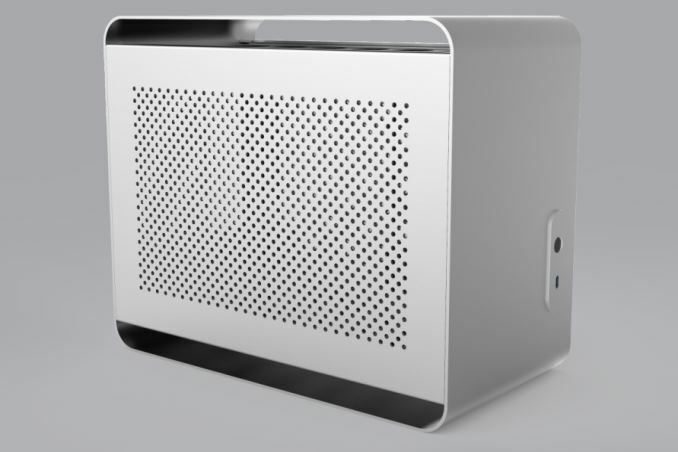 Streacom has announced a new Small Form Factor (SFF) PC chassis named the DA2. In their own words, the DA2 is a 'compact ITX case designed to strike a balance between size and compatibility, allowing high-performance components to fit comfortably in a small form factor space'. The DA2 doesn’t claim to be the smallest case, but one whose focus is on cooling performance and compatibility while still sticking with the size principles of a small form factor design. In other words, design and cooling are more important than size and RGB LED lighting. The DA2 measures in at 13.3” x 7” x 11.2” (LxWxH) and from the outside and has a very unassuming aesthetic with its aluminum alloy (6063) chassis. The case comes in two colors, silver or black, with a sandblasted finish. The two side panels and back panels are vented using over 2000 holes while the top and bottom panels feature mesh grills. The power button is made from glass and uses a tiny pinpoint of white light at the center for the only integrated LED on the chassis. The front IO is milled for a solid block of aluminum and includes a single USB Type-C connector. Notable about this front panel is its ability to be replaced. Streacom says they can simply fabricate an updated panel if there is a demand for it. Internally, the DA2 is where it really sets itself apart from other cases. While the vast majority of cases have dedicated bays for components which makes builds fast and easy, it tends to limit the usable space and limit flexibility. The DA2 uses what they call a ‘universal bracket’ with a track that is integrated into the frame. 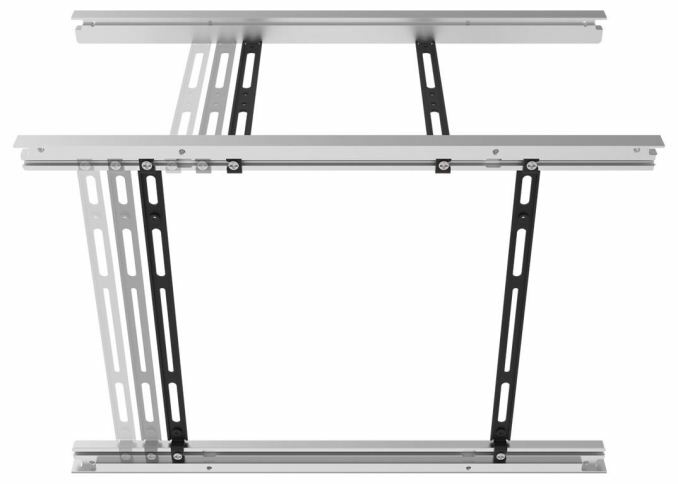 This design allows the brackets to fit anywhere along the sides of the frame. Other than the motherboard and expansion card (able to be flipped) components are able to be repositioned anywhere along the tracks improving customization and flexibility. Streacom says if it physically fits inside the case, there is going to be a way to mount it. So what can fit inside of it? We know a Mini-ITX sized motherboard is the only option on that front. As far as cooling support, the DA2 is able to fit a CPU cooler with a maximum height of 145mm. 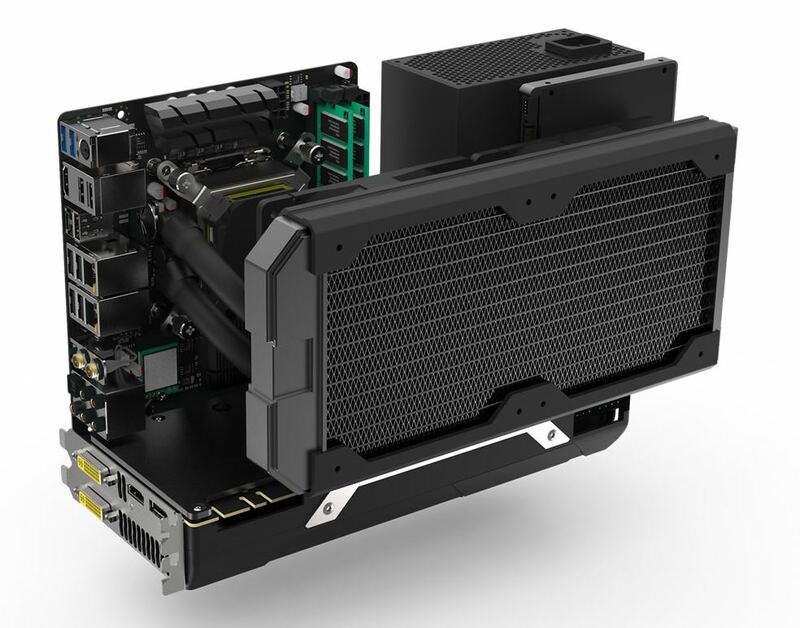 Video card support is up to a dual slot cooling solution measuring in at 12.9” x 5.9” x 1.9” (LxWxH) which should fit most full-length GPUs. 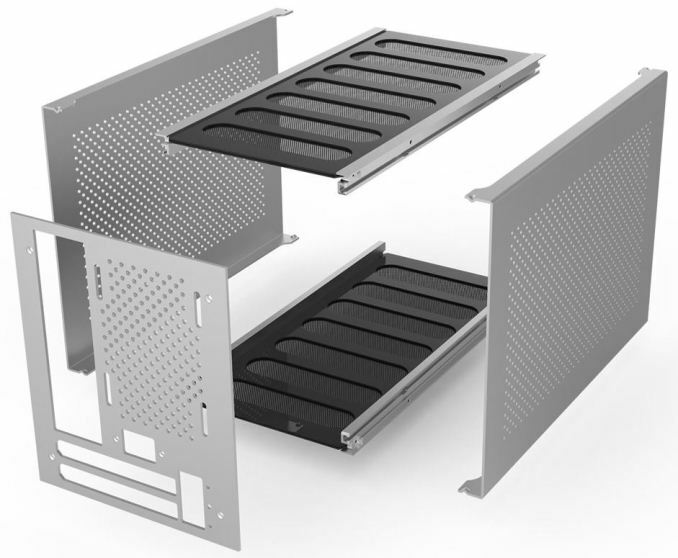 Water cooling support ranges from 120mm to 280mm sized radiators with some flexibility in mounting locations. Fan support ranges from 40 to 180mm, and a 92mm mount on the rear (no fans are included). The DA2 will hold up to three 3.5-inch drives or eight 2.5-inch drives for storage needs while power supply support ranges from SFX to ATX. Dimensions (LxWxH) 13.3" x 7" x 11.2"
HDD/SSD Bays 3 x 3.5" or 8 x 2.5"
The DA2 will officially launch at Computex 2018 on June 5th where it will be displayed in public for the first time. It is expected to be available in retail stores by mid-August. Pricing was not announced. Not at all the same class of case. As far as I can see, this case fits exactly what the nCase M1 fits. Maybe an extra HDD, though I don't like cooking my extra HDD's inside a computer case anyway. But the difference that's relevant to me is won by the NCase M1, the case weighs only 1.4 Kg and its volume is a sufficient 12.6 liters of volume compared to 17 liters. So anyway, I like Streacom, but this seems to me like a solution in search of a problem. I'd prefer if they'd fixed the laboriously, physically engineered Eject button on their FC8S cases, which fails to eject anything, because the aluminum bar flexes too much. That's one reason why my Streacom case is going back and I spent another $50 more for the HDPLEX H1.SODD V2 case. The H1 is a fully fanless design with thick heavy cooling fins on both sides and still only weighs 100 gram more than the DA2, where you still have to add the weight of cooling.